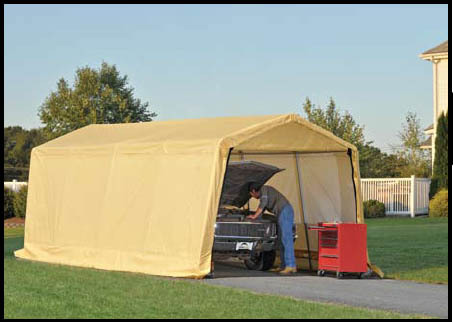 Tough Portable Garage Kits For RV's, Trucks, or Cars. North America's Best Selling Portable Garages For Sale. Safe, easy assembly and rock-solid frames come standard. Bolted roof and pipe connections add strength and stability. Triple-layer, three-way, UV treated, ripstop woven polyethylene fabric covers . Continuous frame to fabric tightness and fit.